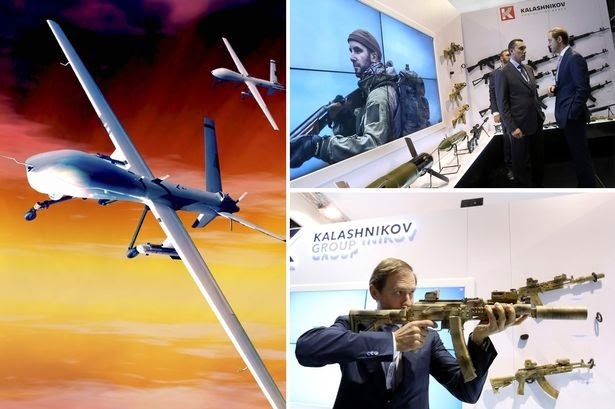 Kalashnikov Concern has decided to create a joint venture producing unmanned aerial vehicles (UAVs), the company’s CEO Alexei Krivoruchko said on at the International Defence Exhibition IDEX 2015 in Abu Dhabi. The Russian weapons manufacturer has decided to purchase a controlling stake (51 percent) in ZALA Aero, which specializes in making unmanned aircraft. “We have made a decision to purchase a share and to create a joint venture to produce reconnaissance unmanned aerial vehicles on the basis of Kalashnikov Concern and Russian company ZALA Aero,” said Krivoruchko. “Based on the Kalashnikov Concern and the ZALA Aero company, we plan to develop and produce unmanned aerial vehicles, mobile and ground control stations,” said Krivoruchko. “Our main product here will be intelligence-gathering unmanned planes, helicopters and aerostats,” he said. The drones will be used to help with border control, reconnaissance, rescue and special missions. The companies are also planning the development and production of UAVs for the purposes of monitoring emergency situations and dangerous objects, as well as geodetic research in harsh climate conditions. With the UAV market one of the biggest expanding markets in the defence industry, the Kalashnikov Concern believes it is time to enter production. The acquisition of the Russian ZALA Aero Company will help provide the Kalashnikov group with expertise. “The decision to purchase a controlling stake in ZALA Aero was made to widen our product line. 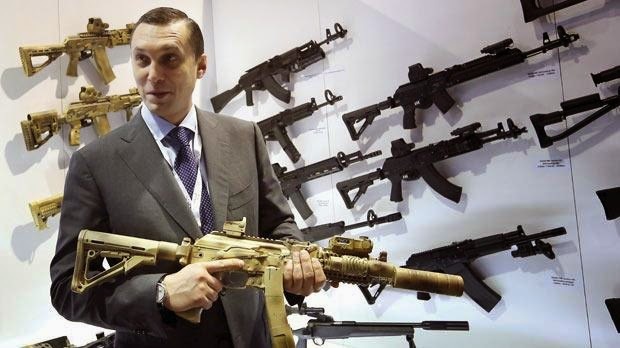 This is part of the strategy of the Kalashnikov Concern’s development through to the year 2020 and also part of the process of developing new sectors of our market,” said Krivoruchko. While the legendary arms manufacturer’s decision to win the UAV market may appear surprising, the global market for UAVs is in fact growing at a record pace. According to the "Market for unmanned aerial vehicles in 2014-2020” study, carried out by the Markets & Markets company, the global market for UAVs amounted to more than $6.7 billion in 2014, and will exceed $10 billion by 2020. According to the report, while 69 percent of the market volume is currently controlled by U.S. drones, growth is anticipated in East and South-East Asia, where a number of countries – primarily China and India – are actively pursuing military and commercial development in the field. In the Soviet Union drones were successfully produced for various purposes. However, since the 1990s Russia has lagged behind the leading manufacturers of UAVs. Now Russia is actively making up for lost time, with recent years seeing the creation of a range of competitive models, including the Orlan-10, the ZALA-421-16, and the Eleron-10 vehicles. According to the Rostec state technology corporation, with the effective organization of work in the next decade Russia will be able to occupy 3-5 percent of the world UAV market.